Whether you're an experienced runner who clocks up the kilometres on a weekly basis or a mum to young ones keen to introduce them to the joys of outdoor fun - get ready for Western Sydney Parklands Trail Run, a brand new outdoor event for runners of all ages and experiences. 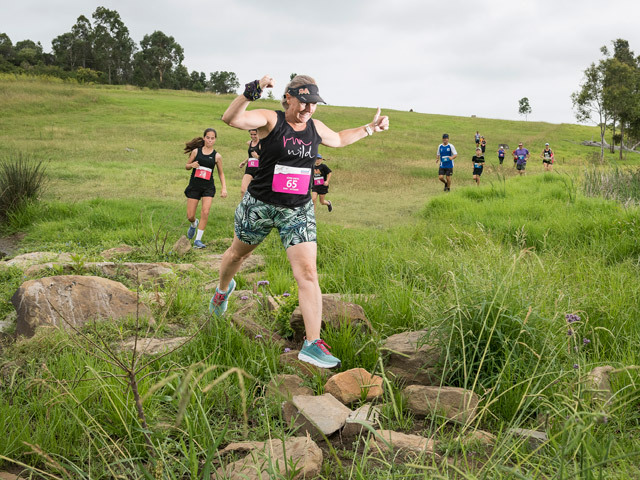 Taking place in the spectacular Western Sydney Parklands - Sydney's Biggest Backyard on Saturday 22 June, 2019, the inaugural event offers up four course distances: 35km, 19km, 11km and a 4km Family Fun Run. There's also a 1.6km Kids Dash for youngsters who are fresh to the running scene. Gary Farebrother, Founder of the Western Sydney Parklands Trail Run said, "The course offers some fantastic trail running only a stone's throw from the CBD. There is a great variety of trails which will entertain novice and experienced runners alike. The longer courses offer fantastic views of the CBD and Western Sydney." Suellen Fitzgerald, Executive Director of Western Sydney Parklands said, "We're thrilled to give competitors a taste of the beauty and diversity of our parklands. With more than 60 kilometres of tracks and trails, spanning over 5000 hectares from Blacktown in the north to Liverpool in the South, Sydney's Biggest Backyard offers a unique range of challenging terrain, combined with breath-taking views, natural bushland settings, award winning playgrounds and picnic facilities". Organisers encourage participants to make a day of it when visiting Sydney's biggest backyard for the trail run. Western Sydney Parklands has a host of activities and services on offer to keep runners and cheer squads entertained post-race. Take a stroll through the Lizard Log Markets, let the little ones go wild on award winning playgrounds complete with flying-fox, slides and climbing walls, or pack a picnic basket and fire up one of the many parkland BBQ's for a family feast in the outdoors. Register your interest in participating in Western Sydney Parklands Trail Run now.